The Russian Federation, when examined as the antagonist, views itself as having been left disconnected from post-World War Two Europe. Russia believes itself to be irrevocably tied to Europe dating back to the Byzantine Era. When the Cold War ended Russia expected to be accepted by the West. This never fully materialized, leaving Russian President Vladimir Putin feeling dismembered. With heightening geopolitical tensions, especially in the European Union, it is critical to understand Mr. Putin’s long term strategy. When events over the last three years are examined together, not only does there exists a threat of conflict on European soil and cyberwar but, there also exists a very real threat to the Western world of another new genre of warfare: economic warfare. “While the rapidly developing Moscow state naturally played an increasing role in European affairs, the European countries had apprehensions about the nascent giant in the East and tried to isolate it whenever possible and prevent it from taking part in Europe’s most important affairs. Emphasizing Russia’s growing relationship with China and its other partners, including the BRICS, Lavrov stated that globalisation has led to the United States and the European Union’s demise as the leading global economic powers and political influencers, and to the emergence of “new and large centres of power”. Perhaps then it is ultimately not just what Mr. Putin is thinking, but also what the aspirations are of Chinese President Xi Jinping, with respect, not as to the Middle East, but as to Europe. When events are read together, the two countries share expansionist and extremist policies, each with their own set of alliances, under which both countries aspire to wield greater global leadership. A contemporary starting place for analyzing the Sino-Russian relationship is July 17, 2014, when a number of seemingly unrelated events occurred. The day prior, the European Union imposed economic sanctions against the Russia Federation for its annexation of Crimea in violation of international law and the 1994 Budapest Agreement, followed by President Barack Obama announcing that the United States was also imposing sanctions; ultimately toppling the ruble. Hours later, a Malaysian plane was shot down over the Ukraine by Russian mercenaries. This was quickly followed by a statement released by China, Russia, India, Brazil and South Africa, representing 40% of the world’s population, that they were implementing the New Development Bank or The BRICS, to provide funding to those countries previously unable to secure financing for essential sustainable infrastructures from the World Bank (WB) and the International Monetary Fund (IMF). Six months later, on February 2, 2015, obscured by an international community divided over the Israeli-Palestinian conflict, China struck a potentially deadly blow to global financial stability when it announced that it was not only moving ahead in launching its Asian Infrastructure Investment Bank (AIIB) but that it was expanding to welcome founding members from the West, of which all 28 NATO members, save the United States, joined within months. There are now 56 AIIB member nations and another 30 countries awaiting approval. “The founding and opening of the AIIB also means a great deal to the reform of the global economic governance system,” stated Mr. Jinping at the January 16, 2016 AIIB inauguration. The AIIB and its ‘junior partner’, The BRICS, were set up to compete with the WB and IMF, intending to ultimately issue its own currency to devalue the Euro and the dollar. “The BRICS is expected to usher in a pair of institutions, a development bank and a currency reserve fund, that they hope will diminish Western control of the global financial system,” stated Stewart M. Patrick, director of CFR’s International Institutions and Global Governance Program. “The AIIB is a challenge to the existing global economic order,” stated Robert Kahn, Steven A. Tananbaum Senior Fellow for International Economics. Such would be the case if China and its partners called in their portion of the United States National Debt; $17.6 trillion dollars or 15.9%. In addition, China and Russia, two of the five permanent United Nations Security Council (UNSC) members, along with India, issued a statement supporting India’s bid for one of the five permanent UNSC seats. In late 2015 Mr. Jinping made a state visit to Great Britain. India Prime Minister Naranda Modi made state visits to 28 countries. In Great Britain and beyond, China and India secured many private and public sector contracts. India’s state visits were partially motivated by its previous lack of cordial diplomatic relations with North Africa and the Middle East; regions India needs to support its claim that it is a global leader meriting a permanent UNSC seat. Inception of The BRICS and AIIB has raised global concerns. The Office of the High Commissioner of Human Rights is investigating whether projected project financing by The BRICS and the AIIB would include safeguards to preclude human rights violations, such as slave or child labor, underpayment of wages, forced evictions, and detentions. Further concern exists over a lack of articulated environmental and anticorruption standards. These concerns were manifest in previous projects funded by the Chinese government. As time went on, the events of 2014 and 2015 fell off the front pages, replaced by news stories about the Syrian War and related terrorist attacks in California, Paris and Brussels. Russia’s September 2015 entry into the Syrian War was reported to insure that Mr. Putin’s ally, Syrian President Bashar al-Assad, remained in power. It is questionable whether Mr. Putin’s move was a smokescreen allowing him to achieve another objective: destabilizing the European Union. Russian bombing in Syria was targeted in and around Aleppo, near the Turkish border. NATO and other leaders asserted that Russia had weaponized Syrians; escalating the number of refugee seekers. The refugee crisis has created widespread dissension within Europe, which has been struggling to cope with the staggering numbers of refugees. There are 4,883,643 Syrian refugees registered by the United Nations; making it the largest humanitarian crisis the world has faced since World War II. At the February 12-14, 2016 Munich Security Conference (MSC), Russian Prime Minister Dmitry Medvedev’s echoed Lavrov’s statements; calling the state of diplomacy between Russia and the West a new Cold War. NATO Secretary-General Jens Stoltenberg and NATO’s Supreme Allied Commander General Philip Breedlove disagreed. A Syrian ceasefire was negotiated at the MSC to allow participants time to reconvene in March to further discuss a nonmilitary resolution, and so that humanitarian aid could be delivered to Syria. At the MSC conference, the issue was raised of Russia’s failure to honor the Minsk Protocol, intended to resolve the Russian-Ukrainian conflict. On March 14, 2016, as the parties reconvened in Geneva, Russia only announced that it was pulling out of Syria at the same time Russian-backed separatists staged one of their biggest Ukrainian offenses, fueling speculation as to Mr. Putin’s long range motives. Mr. Putin’s goal to undermine the European Union by causing destabilization as the European Union represents democracy, is based on Rule of Law, and is ideologically different from Russia, stated Anne Applebaum, Pulitzer Prize Russian Scholar, Director of the Transitions Forum at the Legatum Institute, and an adjunct fellow of the Center for European Policy Analysis. This year is one that arguably offers Russia an unprecedented window of opportunity to push that demand. The refugee crisis threatens key EU institutions, a referendum looms on the UK’s relationship to Europe, the Franco-German couple is in dire straits, Angela Merkel is politically weakened, Ukraine is unstable, populist movements are spreading throughout the continent, the Balkans are experiencing new tensions, and the US is busy with an election campaign imbued with isolationism. “Europe when united is a problem for them [the Russians]. It doesn’t work when the whole of Europe joins together,” stated Applebaum. “Closer cooperation between the EU and its eastern European partners – Armenia, Azerbaijan, Belarus, Georgia, the Republic of Moldova and Ukraine – is a key element in EU foreign relations,” states the European Union’s website. Meanwhile, Russia has strengthened its relationships with Western Europe and Germany. In 2014 Mr. Putin stated, “I expect that the citizens of Germany will also support the aspiration of the Russians, of historical Russia, to restore unity.” Presently, an estimated 10-15% of all Germans support Mr. Putin. Mr. Putin’s authoritarian leadership is also admired by Czech Republic President Miloš Zeman, Hungary Prime Minister Viktor Orbán, and Serbian Prime Minister Aleksandar Vucic. Then there is Poland; with Russia and Ukraine on its east and Germany and the Baltics on its west, it is a natural target for Russia. The United States is building a missile defense shield in Poland due to be operational in 2018; stating it was to protect against Iranian aggressions. Russia objected, stating that the shield is being built to protect the West from an attack by Russia. Russia, having the world’s largest nuclear arsenal supported by a sprawling military and civilian nuclear industry, boycotted the March 31-April 1 Nuclear Security Summit, sparking concern as to whether Russia has or might sell nuclear weapons or weapon making materials to a terrorist organization. The conflict between Rule of Law and the Russian plutocracy is playing out in Ukraine and the Baltic region. In 2012 Ukraine requested member state status in the European Union. While there is no indication that Ukraine will be accepted as a European Union member, as part of the association agreement between Ukraine and the European Union, the European Union is removing trade barriers with Ukraine. “Ukraine has tied into mainstream European culture and life,” stated Applebaum. “We can express our identity in the framework of the European Union,” reflected Rabbi Yaakov Dov Bleich, Chief Rabbi of Ukraine. Rebutting Mr. Putin’s assertion, Rabbi Bleich stated that 60% of Ukraine’s fighters are native Russian speakers. 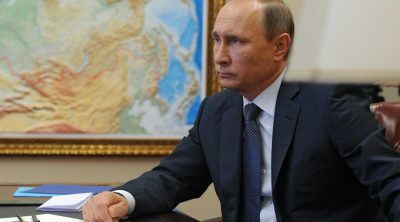 Mr. Putin additionally stated that, “Russia has its legitimate concerns in the framework of trilateral negotiations initiated by Russia, EU and Ukraine on gas issues and trade and economic implications of the EU-Ukraine Association Agreement implementation” as Ukraine is the trade route by which oil is exported by Russia to Western Europe. “We should recognize that the Ukraine is within the Russian sphere of influence,” stated Vaidotas Verba, the Lithuanian Ambassador to the Netherlands. Since 1994 Ukraine has been a NATO alliance partner. In 2010 Ukraine unsuccessfully sought to accede to NATO. The request was denied due to the Ukrainian government’s failure to adhere to Rule of Law. In 2014, following a change in governance, Ukraine renewed its request to accede to NATO. While Ukraine has not been invited to participate in accession talks, it is a partner nation of NATO. In addition, of the 21 other countries belonging to NATO’s Euro-Atlantic Partnership Council, several have also expressed interest in acceding to NATO member nation status. Presently, only Montenegro has been invited by NATO to participate in accession talks. Every country has the right “to belong or not to belong to international organizations, to be or not to be a party to bilateral or multilateral treaties including the right to be or not to be a party to treaties of alliance,” according to Article I of the Helsinki Final Act, which established the Organisation for Security and Cooperation in Europe (OSCE). All the OSCE member states, including Russia, have sworn to uphold this principle. Since 2015 NATO has increased its presence in Ukraine and throughout the Baltic States; Estonia, Lithuania and Latvia. “The reason why NATO is adapting its military posture, especially in the eastern part of the Alliance, is Russia’s military buildup over several years… In the Barents Sea, the Baltic Sea, the Black Sea and now also in the Mediterranean. That’s one of the reasons why we are adapting both by increasing the readiness of our forces but also by increasing our presence in the Eastern part of our Alliance,” stated Stoltenberg. Russia interpreted NATO’s eastern expansion as a sign of open hostility and warned that it will retaliate. “We believe that NATO’s policy towards Russia remains unfriendly and generally obdurate,” stated Medvedev at the MSC. “I’m afraid that Putin will create a really big crisis, like pick a fight with NATO,” stated Applebaum. Such a crisis could include offensive action in the Baltic States, where there is a heavy concentration of ethnic Russians. Ethnic Russians represent 14.3% of the Lithuanian population; 27.6% of Latvia’s population; and 24% of Estonia’s population. Mr. Putin has previously stated that Russia has the right to intervene to protect the rights of ethnic Russians in neighbouring countries. The United States is preparing for a Russian invasion in Ukraine or elsewhere in the Baltic region, as evidenced by a Pentagon statement that the United States was deploying an armored brigade to the Baltic region, with two more brigades to follow in 2017. Considering such potentialities, NATO and Russia have agreed to meet. “[T]here will be no return to business as usual until Russia again respects international law,” stated Stoltenberg. Irrespective of ideological differences, after the Cold War Era, Russia and the West shifted from the Doctrine of Mutual Assured Destruction to that of Mutual Assured Security (MAS); where neither party has the intention or capability to exercise a unilateral advantage over the other. It is now uncertain whether Russia intends to abide by MAS. The problem with the U.S. position is that Russia is not confident that conditions for strategic stability are met, and therefore they are not. Since strategic stability is a condition in which both parties are confident that each retains a secure retaliatory capability, if either is not confident, the equation is at risk. To put it another way, it does not help in a crisis. If the United States is confident that no military strike could put Russia’s ability to retaliate at risk if Russia believes that it would have to preempt for survival. Because Russian analysts take this seriously, U.S. policy needs to take this seriously. “What we are dealing with is a conflict between a western philosophy in which international relations should be based on the Rule of Law, and the Russian one which tends to think in terms of power and zones of influence. The view that the world order should be based on the rule of law, is very much the view of a militarily impotent Europe and more in particular that of small countries dependent on international trade such as the Netherlands. The realistic school of American foreign policy on the other hand entertains no such illusions and views diplomacy as the application of power by nonmilitary means,” stated Joost Dirkzwager, a retired Kingdom of the Netherlands career diplomat. That same analysis as to “zones of influence” can be applied to China, and to a lesser degree, India. Although Russian and Chinese foreign and military policies differ radically, they operate under a similar ideology. While China is a superpower, Russia, due to its economic decline, is not. Yet, the two countries are working together, with Beijing wielding the greater influence. 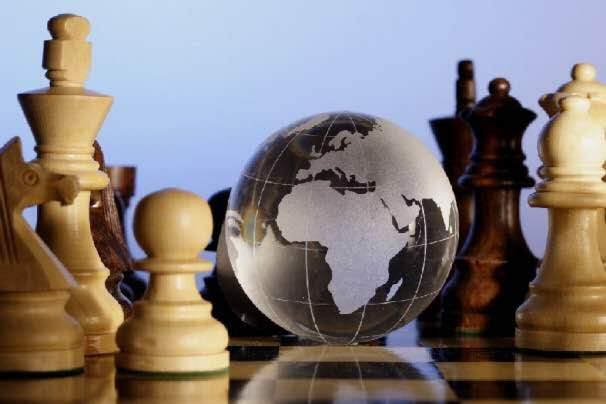 When read as a whole, not only does there exist the threat of conflict on European or even on United States soil and cyberwar with China and Russia but, there also exists a very real threat to the West of a new genre of warfare: economic warfare. 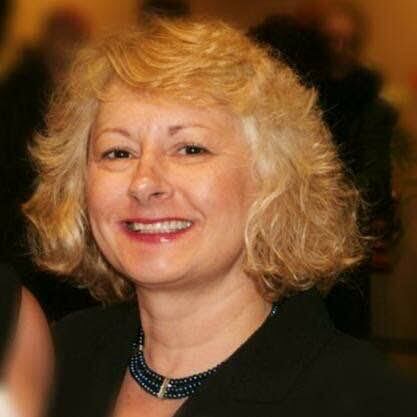 Cynthia M. Lardner is a journalist, holding degrees in journalism, law, and counseling psychology. Her blogs are read in over 37 countries. As a thought leader in the area of foreign policy, her philosophy is to collectively influence conscious global thinking. Living in Den Hague or The Hague, she is currently looking for a challenging position in foreign policy, journalism, or social justice. Albert, Eleanor, “A Bank Too Far?”, March 17, 2015, Council on Foreign Relations, as found on the www at http://www.cfr.org/global-governance/bank-too-far/p36290. Anne E. Applebaum, March 17, 2015, Comment made during public meeting held at Nieuwspoort International, The Hague Netherlands (Anne Elizabeth Applebaum is an American and Polish journalist and Pulitzer Prize-winning author who has written extensively about communism and the development of civil society in Central and Eastern Europe. Anne Applebaum is a columnist for the Washington Post and Slate. She directs the Transitions Forum at the Legatum Institute in London and is an adjunct fellow of the Center for European Policy Analysis.). Benitez, Jorge, “Alliance at Risk | Strengthening European Defense in an Age of Turbulence and Competition”, February 26, 2016, Brent Snowcroft Center, Atlantic Council, as found on the www at http://www.atlanticcouncil.org/#.VtVjGSaHeg8. “Brief Overview of Relations”, Russian-EU Relations, Permanent Mission of the Russian Federation to the European Union, as found on the www at www.russianmission.eu/en/brief-overview-relations. Courtney, William, and Jensen, Daniel, “How Putin Could Make Russia Great Again”, , March 21, 2016, Newsweek, as found on the www at http://europe.newsweek.com/how-putin-could-make-russi-great-again-438070?rm=eu. Durso, James, “Is That An Ian Fleming Novel Or Just Another Putin Scheme?”, March 17, 2016, Forbes, as found on the www at http://www.forbes.com/sites/realspin/2016/03/17/putin-scheme-czech-republic/#1fa54de774b5. Edwards, Lee, “Poland Is Key to a Safe Europe, and Putin Knows It”, September 24, 2015, as found on the www at http://dailysignal.com/2015/09/24/poland-is-key-to-a-safe-europe-and-putin-knows-it/. “Foreign & Security Policy”, January 15, 2016, European Union, as found on the www at http://europa.eu/pol/cfsp/index_en.htm. “Geopolitical Meltdown”, Game of Thrones Meets House of Cards, April 9, 2015, as found on the www at https://cynthiamlardner.wordpress.com; and at https://www.linkedin.com/pulse/game-thrones-meets-house-cards-geopoliticalmeltdown-cynthia?trk=mp-reader-card. Huggler, Justin, “Putin ‘privately threatened to invade Poland, Romania and the Baltic states’”, September 18, 2014, as found on the www at http://www.telegraph.co.uk/news/worldnews/europe/russia/11106195/Putin-privately-threatened-to-invade-Poland-Romania-and-the-Baltic-states.html. Knox, Patrick, “WARNING: Putin’s ex-aide says nuclear war in Europe imminent as Russia relations collapse.” March 19, 2016, The Daily Star, as found on the www at http://shr.gs/2Zx6bjN. Krishnan, Ananth, “China and Russia back India for seat on UN Security Council”, February 2, 2015, The Daily Mail India, as found on the www at http://www.dailymail.co.uk/indiahome/indianews/article-2937182/China-Russia-India-seat-security-council.html#ixzz3QhdEzHPy. Masters, Jonathan, “The Russian Military”, September 28, 2016, Council on Foreign Relations, as found on the www at http://www.cfr.org/russian-federation/russian-military/p33758 (Russia was also suspended from the Group of Eight or G8, comprised of world’s seven of the world’s wealthiest nations and the European Union.). Medvedev, Dimitry, “Speech by Dmitry Medvedev at MSC 2016”, February 13, 2016, Voltaire, as found on the www at http://www.voltairenet.org/article190255.html. Ng, Teddy, “India and Russia back China’s call for ‘new world order’: Foreign ministers of two nations meet Chinese counterpart in Beijing as China ‘seeks to counterbalance US influence’ in the Asia-Pacific”, February 3, 2015, South China Daily Post, as found on the www at http://www.scmp.com/news/china/article/1699900/india-russia-back-call-new-world-order. “Putin’s long game has been revealed, and the omens are bad for Europe,” March 18, 2016, The Guardian, as found on the www at http://www.theguardian.com/commentisfree/2016/mar/18/putin-long-game-omens-europe-russia. “Remarks by Chinese President Xi at the Inauguration of the Asian Infrastructure Investment Bank”, January 16, 2015, Council on Foreign Affairs, as found on the www at http://www.cfr.org/infrastructure/remarks-chinese-president-xi-inauguration-asian-infrastructure-investment-bank/p37470. “Russian Foreign Policy”, Permanent Mission of the Russian Federation to the European Union, as found on the www at http://www.russianmission.eu/en/russian-foreign-policy#sthash.d7QaYgJe.dpuf. “Sergey Lavrov’s article “Russia’s Foreign Policy: Historical Background” for “Russia in Global Affairs” magazine, March 3, 2016, MFR Russia, as found on the www at http://www.mid.ru/en/foreign_policy/news/-/asset_publisher/cKNonkJE02Bw/content/id/2124391. Spaulding, Hugo, “Russian Military Activity: OCTOBER 27-NOVEMBER 3, 2015”, Institute for the Study of War, as found on the www at http://www.understandingwar.org/backgrounder/russian-military-activity-october-27-november-3-2015. Stanton, Jenny, “Putin hopes to destabilise Germany by fuelling tensions over migrants, intelligence chiefs claim.” March 11, Daily Mail, as found on the www at http://www.dailymail.co.uk/news/article-3487603/Putin-hopes-destabilise-Germany-fuelling-tensions-migrants-intelligence-chiefs-claim.html#ixzz43WbWoexA. “Statement to the media by NATO Secretary General Jens Stoltenberg after his meeting with Foreign Minister Lavrov of Russia,” February 12, 2016, NATO, as found on the www at http://www.nato.int/cps/en/natohq/opinions_128071.htm. Stewart, Patrick, “The BRICS: Three Things to Know”, July 7, 2015, Council on Foreign Affairs, as found on the www at http://www.cfr.org/international-organizations-and-alliances/brics-three-things-know/p36759. “Transcript: Putin says Russia will protect the rights of Russians abroad,” March 18, 2014, Washington Post, as found on the www at https://www.washingtonpost.com/world/transcript-putin-says-russia-will-protect-the-rights-of-russians-abroad/2014/03/18/432a1e60-ae99-11e3-a49e-76adc9210f19_story.html. Wallander, Celeste, “Mutually Assured Stability: Establishing US-Russia Security Relations for a New Century”, July 29, 2013, Atlantic Council, as found on the www at http://www.atlanticcouncil.org/publications/issue-briefs/mutually-assured-stability-establishing-us-russia-security-relations-for-a-new-century, citing, http://www.atlanticcouncil.org/images/publications/Mutually_Assured_Stability.pdf. “Why China is creating a new “World Bank” for Asia”, November 11, 2014, The Economist, as found on the www at http://www.economist.com/blogs/economist-explains/2014/11/economist-explains-6. A well researched and spot on analysis.